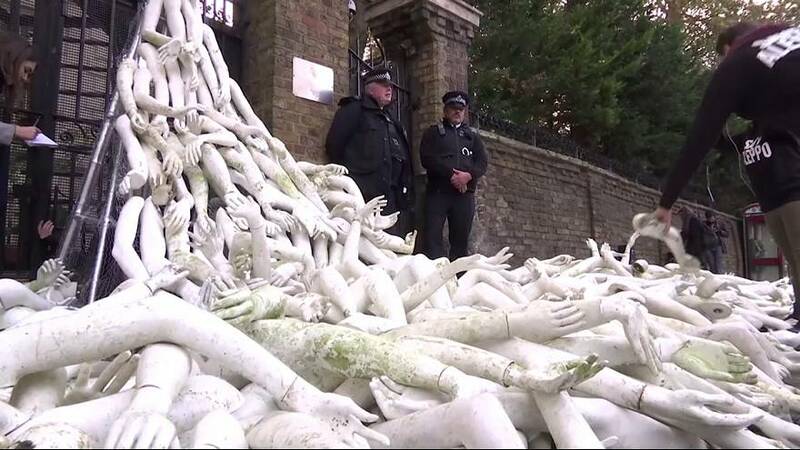 Eight-hundred mannequin limbs were dumped outside the Russian embassy in London to protest over Moscow’s actions in Syria. Two protesters also locked themselves to the gate of the embassy. Protesters said the action was part of a bid to draw attention to the “terrible horrors that the Russian government has been part of in Syria”.